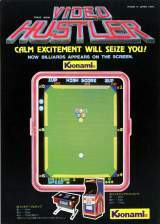 Video Hustler © 1981 Konami. Video Hustler was released in August 1981. Licensed to Dynamo for manufacture and distribution under the name of "Lil' Hustler". 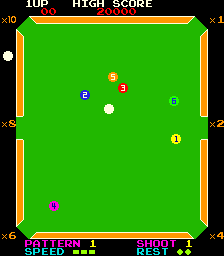 Two bootlegs of this game are known as "The Billiards" and "Video Pool". [JP] MSX (dec.1983) "Video Hustler [Model RC706]"
MSX [EU] (1984) "Konami's Billiards [Model RC706]"